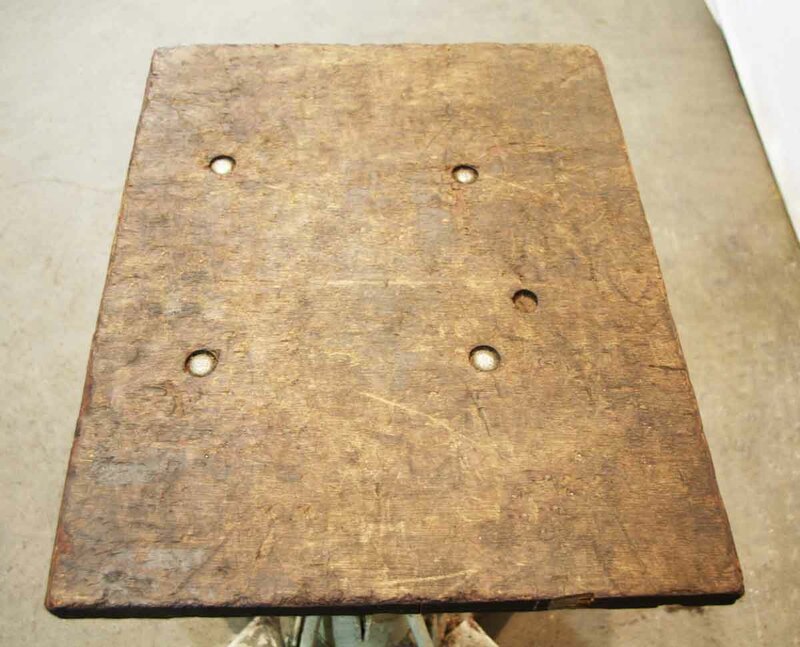 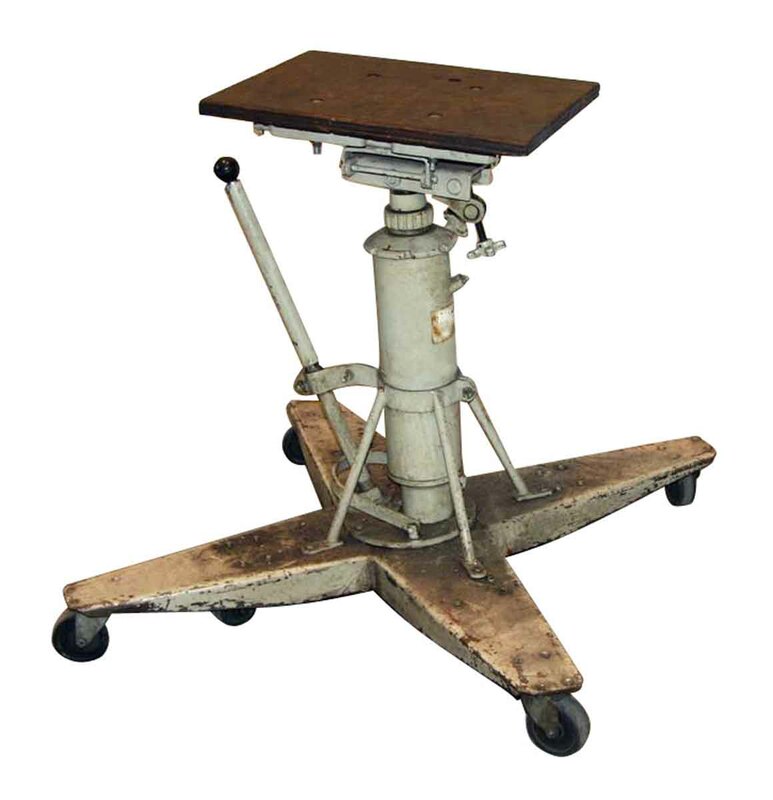 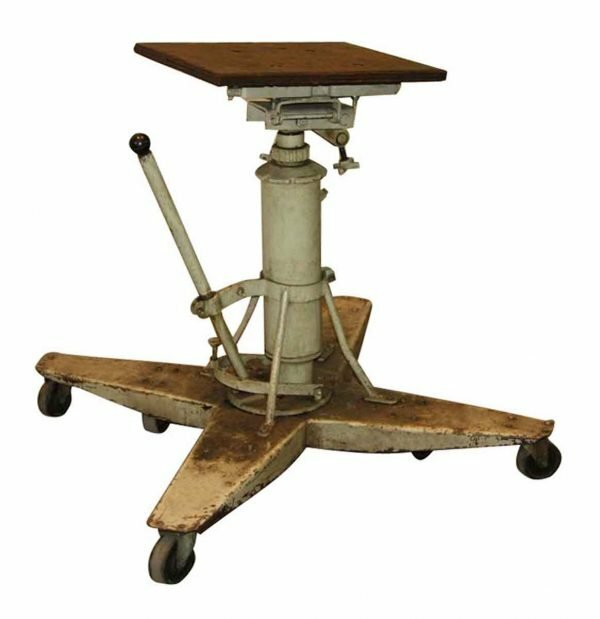 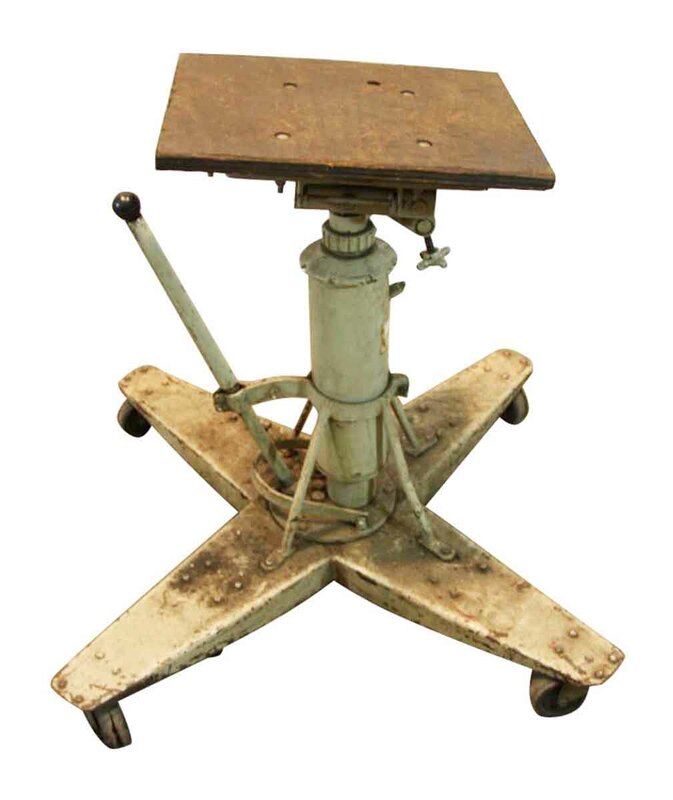 Original antique industrial rolling table with adjustable height. 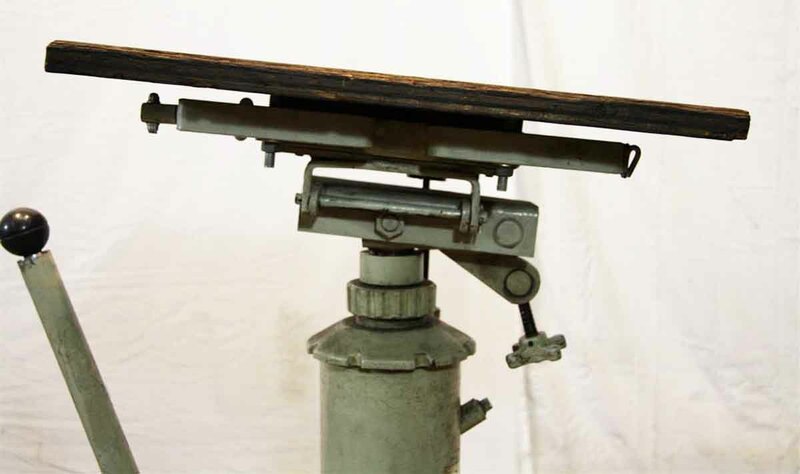 The top can tilt also. 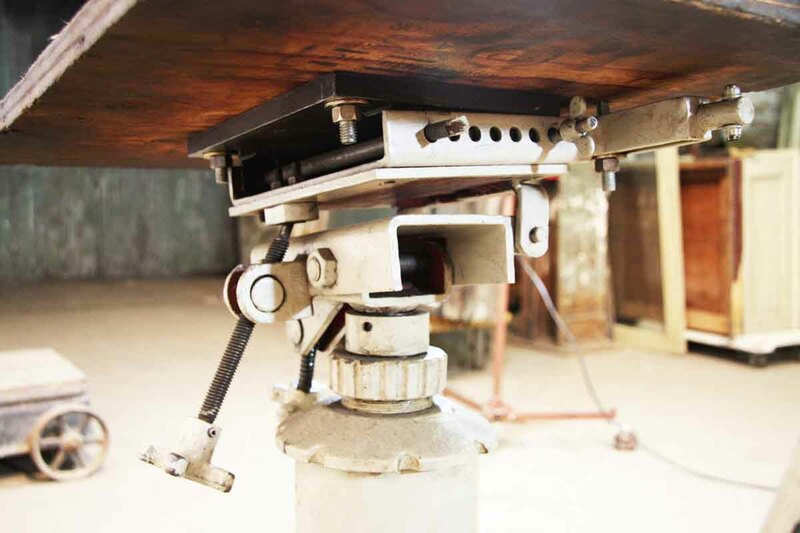 This was originally a machine base, but makes a really cool table base.